One of the most underrated technical thrash bands, BITTER END from Seattle, called it quits soon after releasing their debut on Metal Blade, but before they did, they recorded songs for their 2nd album. After 20 years "Have A Nice Death!" finally sees the light of day (together with "Meet Your Maker" '88 demo and 4 live tracks as a bonus) and shows progression from "Harsh Realities" in all departments. Brilliant, inspired songs with attitude, driven by usually fast, but clean and perfectly flowing riffs, that should appeal mostly to fans of MEGADETH, but also FORCED ENTRY, HEATHEN, FORBIDDEN and ATROPHY. The high skill of all the musicians is on display here - even when they slow down, you can often relish some really tasty solos. BITTER END is back! Though BITTER END was an integral part of the late '80s / early '90s Seattle Thrash scene, the band’s musical roots trace back to Orange County, CA. There, in the early 1980s, high schoolers Matt and Chris Fox would see “local” bands like SLAYER and ARMORED SAINT, and Bay Area bands like EXODUS and an early version of METALLICA featuring Dave Mustaine. Jamming together for days, weeks, months, and years, Matt (guitar) and Chris (bass) learned dozens and dozens of songs. In the course of imitation, they began to develop their own sound: acrobatic unison riffs, precision picking (with finger-style bass), and traditional metal rhythms played at breakneck speed. But judging by the songs the band later would cover (“My Generation” by The Who, “Hocus Pocus” by Focus) what came to be the BITTER END sound owed as much to the late 1960s - early 1970s record collection of Matt and Chris’ parents as it did to the NWOBHM then storming the airwaves. In 1983, the Fox brothers moved to Edmonds, WA, a suburb of Seattle, and by 1985 had managed to land powerhouse, double-kick drummer Harry Dearinger. Two years of woodshedding followed, during which the band wrote a dozen original songs. But despite their best efforts, they could not find a suitable vocalist. In 1987, Matt and Chris rented “The House of Deth” in Seattle’s University District, and began hosting parties every Sunday night during KCMU’s “Brain Pain” metal radio show. The parties became a locus of the Seattle metal scene, with members of FORCED ENTRY, SANCTUARY, COVEN, PANIC, and HEIR APPARENT among the regular attendees. All of this musical and professional progress, however, was no help in finding a vocalist. The band’s first show, opening for FORCED ENTRY and COVEN in 1987, was played as an instrumental three-piece. Finally, the band decided to DIY the vocals themselves, and Matt ultimately became the voice of BITTER END. The next year, 1988, the band recorded the “Meet Your Maker” demo with Chris Hanzsek at Reciprocal Recording. More gigs in and around Seattle followed, with acts such as ALICE IN CHAINS, WILD DOGS, and MY SISTER'S MACHINE, and the band added a second guitarist, Melcon Wagner. A 1989 showcase attracted the interest of then-Metal Blade A&R rep Dyana Kass, and the band enlisted the help of legendary Seattle producer Jack Endino to record a five song development demo. Melcon left the band soon afterward, and BITTER END signed a seven-album deal with Metal Blade/Warner-Elektra-Atlantic. As pre-production got underway for the debut release, guitarist Russ Stefanovich (MAD HATTER) joined the band, and the contribution of his neoclassical shredding (his nickname at the time was “Russ-wie”) to the band’s sound was immediate and powerful. In February of 1990, under the guidance of producer Randy Burns (MEGADETH “Peace Sells...”, KREATOR...), BITTER END recorded “Harsh Realities”, at Dodge City Recording in Studio City, CA. The album was released in June of 1990, receiving an 83 from Metal Forces, and three out of five stars from Kerrang! In Europe, the album was issued on the Music for Nations imprint, and was produced in both CD and vinyl formats. The band went on the road in support of DRI, touring the Western United States, Canada, and Mexico in the heat of the summer, and played with other up-and-coming thrash bands such as EXCEL. In late Fall 1990, the band again took to the road, this time in support of SACRED REICH for another tour of the West, accompanied by ATROPHY. And in 1991, with financing from Metal Blade and working with videographer Tom Ensign, the band produced a black-and-white video for “Harsh Realities” that received airplay on MTV’s “Headbangers’ Ball”. 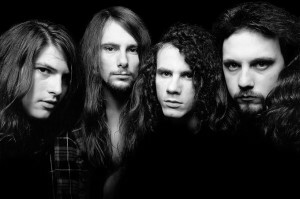 In early 1991, disagreement over next steps led the band to request a release from their recording contract, and they amicably parted ways with Metal Blade. The rest of the year was spent gigging, incorporating the more thrash-friendly rhythms contributed by Russ, composing new songs, and preparing to go back on the market. During this time, they played local and regional gigs with THE ACCUSED and SOUNDGARDEN, as well as touring acts such as ANVIL, HEATHEN and SCATTERBRAIN. The band tracked a number of songs at Robert Lang studios in Seattle that were mixed by Jack Endino, and prepared to start shopping for a deal. But Metal’s stock within the larger music industry was falling, and by the time NIRVANA released “Nevermind” late that year, it was clear that heavier forms of music were headed back underground. No label deal was imminent, and the members of the band felt the pull of other musical possibilities and life paths. After seven years of effort, one commercial label release, touring the Western part of North America, and a great ride, BITTER END played its final gig in August of 1992. Since then, the members of the band have pursued a wide variety of musical endeavors, some heavy, some not. Matt played with DR. UNKNOWN throughout the 1990s, as well as a reformed version of HOLY TERROR, and currently plays with ZERO DOWN. Russ started his post-Bitter End career with THE FAMILY, and currently plays with Metal On Metal Records' act MIDNIGHT IDÖLS. Chris relocated to Memphis for graduate school, and upon returning to Seattle, played on GEOFF TATE's solo 2002 release. Harry continues to play with a variety of local acts. And sadly, the “fifth member” of BITTER END, stalwart road warrior, tech, and companion Damon Teras passed away in 2002. 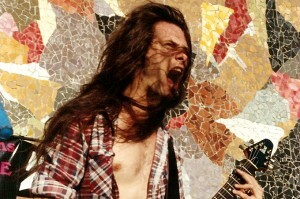 In 2011 Russ presented the still-unreleased 1991/1992 recordings to Metal On Metal Records. The label felt that the tracks definitely deserved to be heard and offered to release them together with the 1988 demo "Meet Your Maker" and 4 live cuts from 1990 as bonus. “Have A Nice Death!” CD saw the light of day on July 28th, so practically 20 years after the songs were recorded. 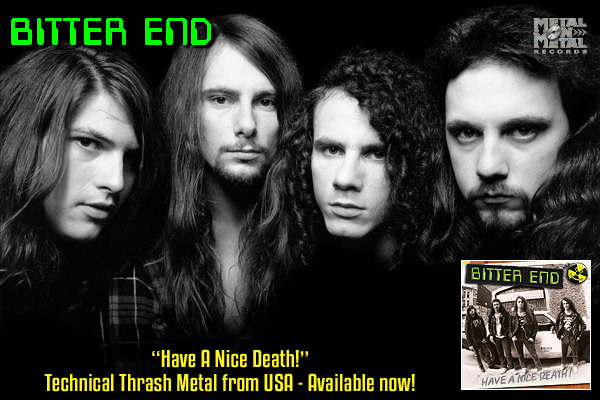 With this release, the members of BITTER END are confident that today’s metal audiences, young and not-so-young, will appreciate the chance to hear sounds that were still coming together even as one of Metal’s great, unsung episodes - the '80s and '90s Seattle thrash scene - was coming to a close.